In 2015 I started making cigar box guitars. 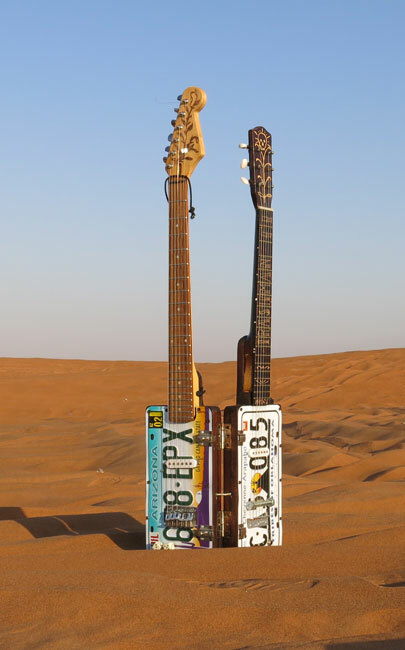 This is a double neck license plate guitar with two necks and it was the 2nd that I made therefore I called it Trashman II. The upper neck is for normal tuning and the lower one is for open "G" slide tuning. It folds in half for easy carrying.